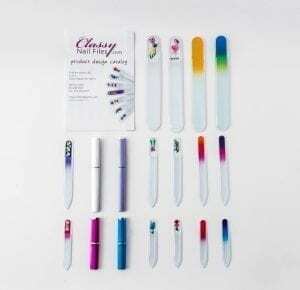 Classy Nail Files Is Looking For You! Earn extra cash! We are putting together a team of direct sales professionals who believe in our amazing products and would like to promote them as independent consultants! If you already have a direct sales business, this could be a great additional product for your business or if you are just getting started, this could be a great way to start out on your own and earn extra cash! Work from home, have parties or do online video sales! We have a wonderful product, a great business model, and a very generous compensation plan! We will give you all the training and support you need to succeed! 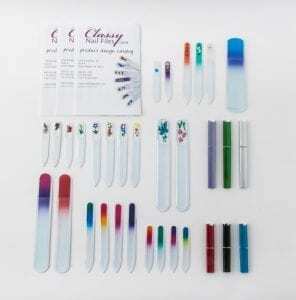 Our crystal nail files are made in the Czech Republic and hand painted by local artists in Grand Rapids, MI. They are guaranteed to never wear out. We offer over 120 designs to choose from & also can customize at no extra charge. We’ve been in business for 15 years and are a woman-owned business. If this sounds appealing to you, please take a moment to fill out the form below and submit it. Choose from 3 different packages to get started on earning money! Our lowest Starter Kit is affordable at only $59.99! Would you like more information before registering?